Once again The Three foodies are on the go! We had been looking forward to this outing for a long time, it seemed. 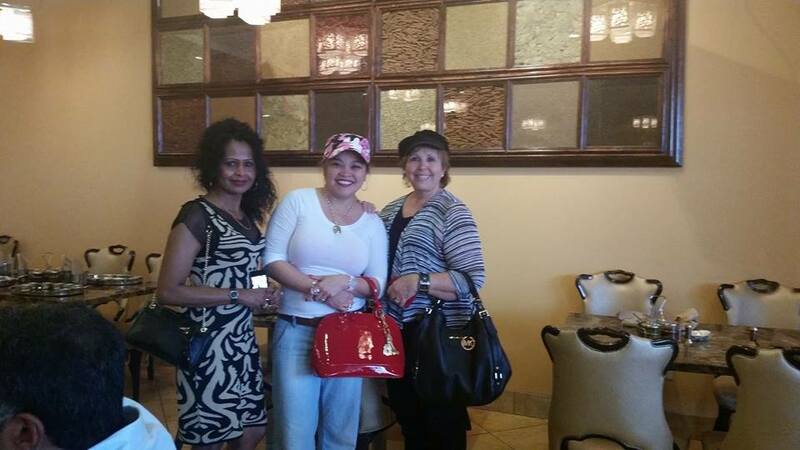 Shalni, Arceli and I are ready for lunch and shopping — what else is new? 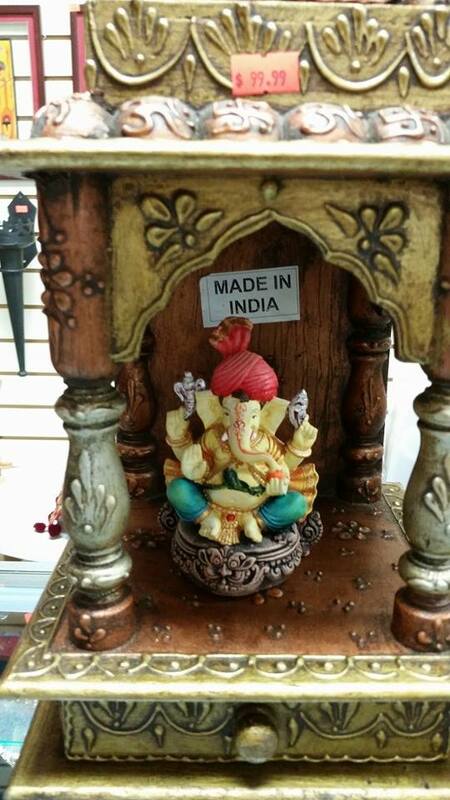 Our quest was to find more of the best Indian food in Houston, and we did! 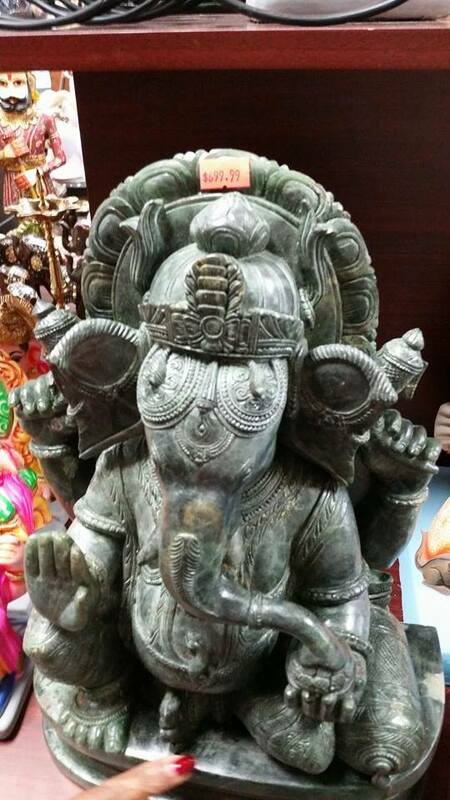 Shalni led this expedition to the Mahatma Gandhi District in Houston, where we found the Maharaja Bhog Premium Veg. 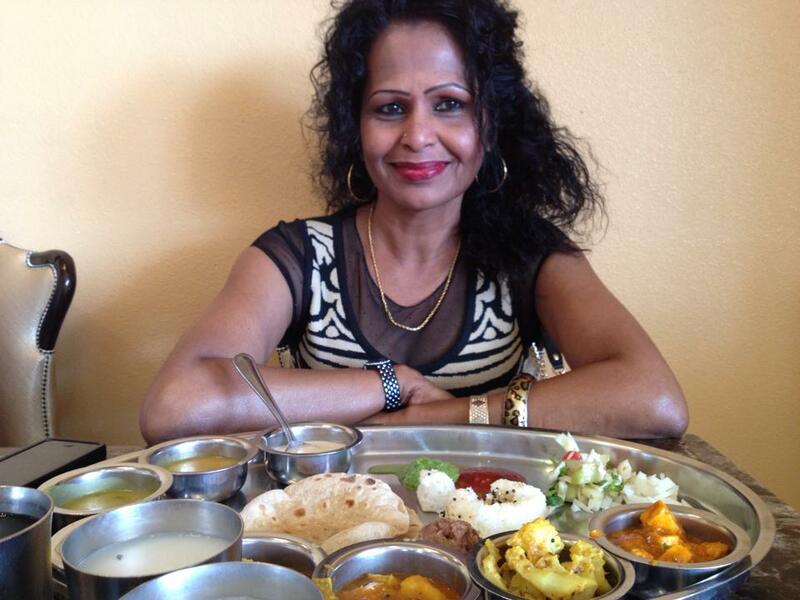 Thali Restaurant on Hillcroft. Indian food at its finest! was definitely Indian. 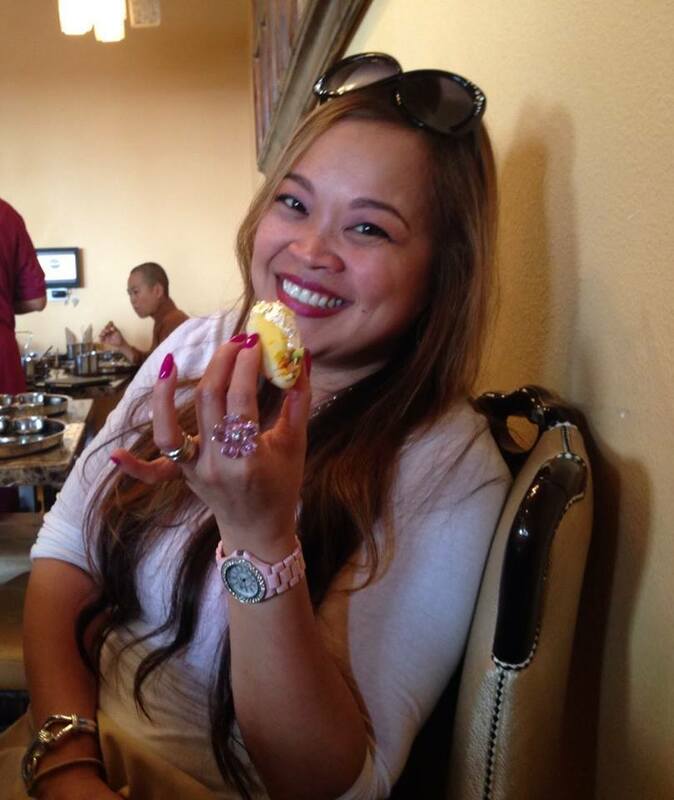 Friendly service and colorful, flavorful food was the icing on the cake. Speaking of cake, we toasted Arceli’s birthday with the special Indian sponge cake, Rasmalai. Proprietor Bhagwan Taparia was interested to know how we liked everything, and explained which sauces to eat with which dishes. He also told us that the silver on the cake was truly edible!The premium veg Tali is an unlimited Thali and the menu can be found on their website at http://www.maharajabhog.com. 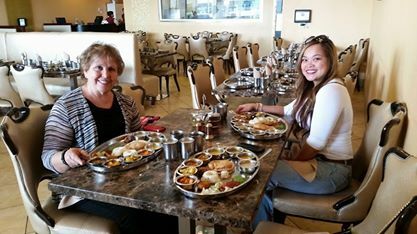 This was an authentic Indian food experience, from top to bottom. And the food kept coming, as long as we wanted! 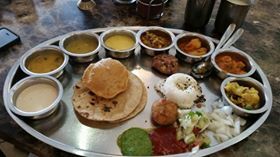 Maharaja Bhog is located at 8338 Southwest Freeway, Houston, and three more locations in India and Dubai. This one is conveniently located not far from the shopping experience we had planned. 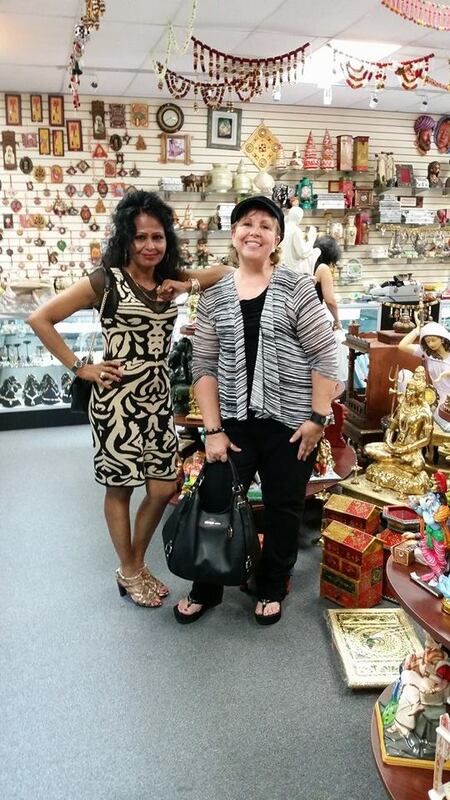 While we enjoyed our meal, torrential rains hit the Houston streets causing temporary flooding, but we had bigger fish to fry with some shopping at Harwin and Namaste! So, braving the rain, we ventured out! 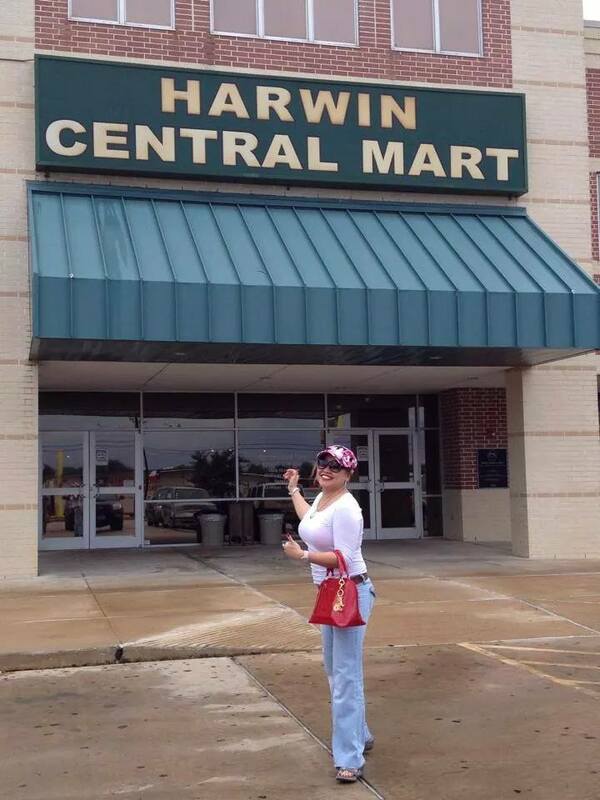 Our first stop was the Harwin Stores, and in particular the Jewelry Factory with locations on Hillcroft and Harwin. We each found silver rings and earrings with genuine semi-precious stones on sale for 50% off. 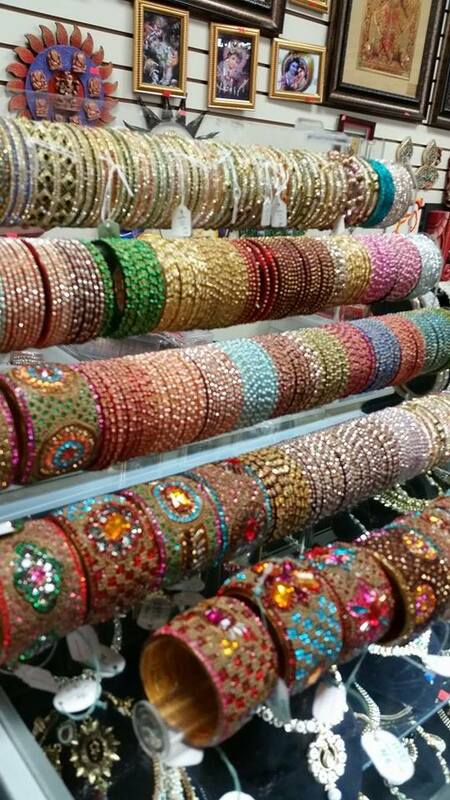 Arceli found some other odds and ends for her boutique. 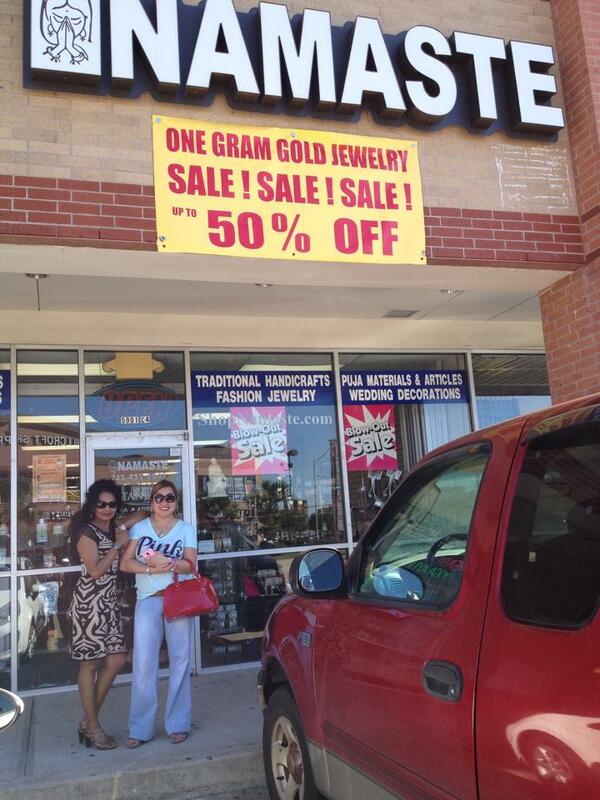 We also shopped in the Jewelria at Harwin and other stores in the area. 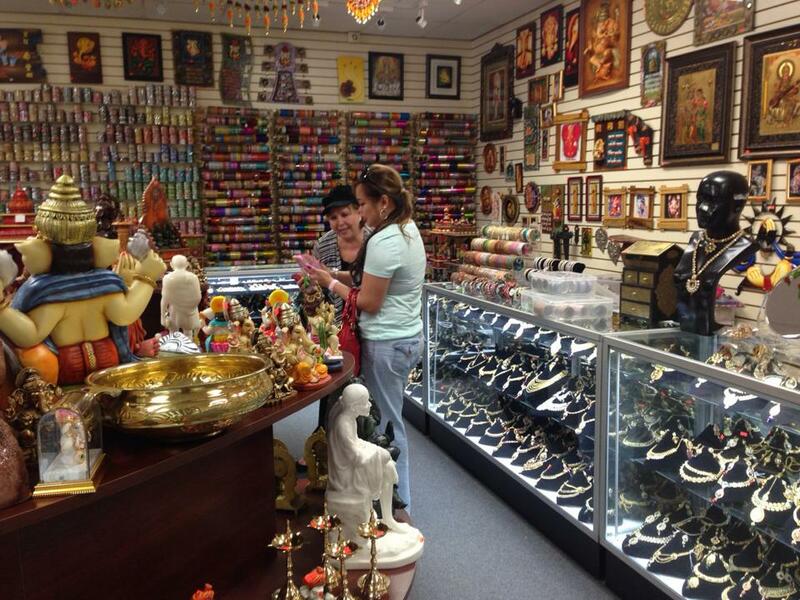 Next we visited a store called Namaste at Hillcroft, where we met the owner and friend of Shalni’s, Koshik. 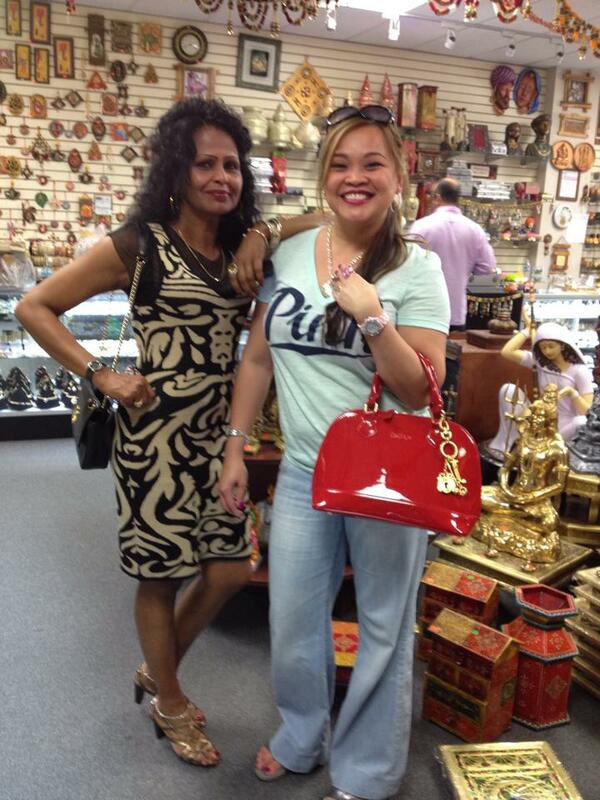 This was an excellent shopping experience, and we liked that everything in the store is from India. There is no way to see everything in one day, so we will probably make a return visit to the Hillcroft/Harwin part of Houston in the near future. You can bet on it! So, see you next time The Three Foodies are making their rounds. Come on back and leave your comments!